Genetic counselors can be a powerful resource to help you understand your options, your results, and maybe even how you feel about them. Genetic counselors have a shared experience, an inside joke that comes with the profession, that when we’re at a social event and people ask the inevitable, “What do you do?”… we know what to expect. In all seriousness, it is important to understand what genetic counselors actually do, because they can play an important role in your experience with genetic insights. Genetic counselors are board-certified healthcare providers with specialized training in genetics who help people understand, manage, and cope with genetic results that may impact their lives, their health, and the health of their family. Genetic counselors have a broad range of specialized expertise, from family planning and fertility, to specialties such as oncology, cardiology, neurology, pediatrics, metabolism, and many more. They work in a variety of settings from hospitals and clinics to laboratories, private companies and the public sector. 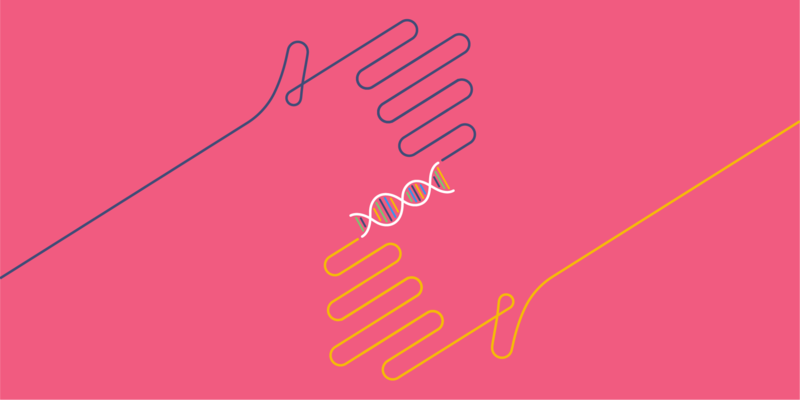 Wherever you find a genetic counselor working, they are playing a role to help people — directly or indirectly — understand genetics and what DNA can tell them. I have a family history of cancer. What is my risk? What is the risk for my children and other relatives? My father and many relatives on his side of the family had heart disease. Is there a reason this runs in my family? I am planning to start a family. How can I learn about the genetic risks that could impact my child’s health? I have heard about a number of genetic tests that are available. Which ones are right for me? Am I predisposed to have side effects to any medications because of my genetics? I am adopted and don’t know anything about my family medical history. What can my DNA tell me? Why you are motivated to learn DNA insights? What do you expect from these insights? What is your personal and family health history? Which tests are right for you? Who in your family is the right person to test first? How do you think you would deal with learning you have a risk for a health condition or, in some cases, uncertain information? What do your results mean for you? How can your doctor integrate this information into your healthcare? How you might go about sharing relevant insights with your family? In the past, people have gone to clinics or hospitals to meet with genetic counselors in-person. Today, there are a growing number of options to work with these experts outside these settings. The increasing demand for genetic counseling has been met with a wider array of options for patients, including a growing number of virtual and remote genetic counselor services. That means you can talk to a genetic counselor, whether it’s over the phone or through video-call, at the times and places that work best for you. Helix is the first online, personal genomics marketplace enabling a broad spectrum of DNA-powered insights like health, ancestry, family planning, fitness, nutrition, and even entertainment. For some, this is an exciting new era where we are all empowered to access insights from our DNA — asking specific questions, addressing general curiosities, and learning, over time, as our needs, circumstances, and motivations change. Others may find the choices overwhelming, or want professional guidance to better understand what options may be right for them. That’s why Helix feels strongly that genetic counselors should be available to help people wherever they may need it. Helix makes it easy to connect with a genetic counselor, whether you are deciding what tests might be right for you or whether you want support making the most of your results. The partners that provide the health-related products on the Helix marketplace — academic medical centers and labs — provide access to genetic counselors, either through their own staff or through professional networks of genetic counselors that support partners across the country. They can also help you find resources in your local community, if you prefer to see a genetic counselor or specialist in person. For some, having easy access to a qualified genetics professional is key to a high quality experience. Especially because the internet can be just as scary and confusing as it is informative, you may want to talk with a qualified professional who can help you make sense of it all. Genetic counselors are available to help you, when you need it.